From Our Magazine: Remembering the People of 400-402 Grand St. 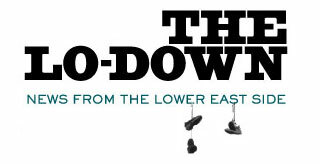 This story first appeared in the July/August issue of The Lo-Down’s print magazine. More than half a century after the brilliant jazz saxophonist Sonny Rollins moved to the Lower East Side, he still has vivid memories of his life at 400 Grand St. During a two-year sabbatical beginning in 1959, he walked from his modest apartment building to the Williamsburg Bridge every day, transforming the old wooden walkway above the East River into his own personal practice studio. The result of those open-air sessions was The Bridge, the legendary 1962 album that cemented Rollins’ place in history as an improvisational genius. Sometime in the next month, 400-402 Grand St., the twin tenements just west of Clinton Street, will be knocked down to make room for a new 15 story apartment building that is part of Essex Crossing. The large development project in the former Seward Park Urban Renewal Area will eventually bring a thousand new apartments, half of them affordable, and a range of new amenities to nine sites stretching from Grand Street to Stanton Street. These two buildings are the last remaining structures on the original development site. Long ago, the local community board agreed that the tradeoff was worthwhile. More than 200 apartments, half of them for low- and middle-income families, a 15,000-square-foot park, a large grocery store and, possibly, a new public school will rise on this single parcel, known as Essex Crossing site 5. But before the dismantling of these hundred-year-old buildings begins, we felt compelled to acknowledge the many lives lived here. Sonny Rollins was, no doubt, 400 Grand Street’s most famous resident, but certainly not the only interesting one. What follows in this article is a glimpse of some of the people who lived and worked in these tenements across the decades. During his time in the two-bedroom Grand Street loft, Sonny Rollins was visited by the jazz world’s luminaries: Charles Mingus, Thelonious Monk and John Coltrane. He lived next door to drummer Frankie Dunlop, whose wife was pregnant. Feeling guilty about blowing the horn indoors, Rollins sought refuge on the bridge, but he also found inspiration there. “One day I was on Delancey Street,” he told The New York Times this past spring, “and I walked up the steps to the Williamsburg Bridge and came to this big expanse. Nobody was there, and it was beautiful. I went to the bridge to practice just about every day for two years. I would walk north from Grand Street, two blocks up to Delancey Street, and then from Delancey Street down to the entrance of the bridge… I could have just stayed up there forever.” Rollins would buy pastries for his wife, Lucille, at Ratner’s. She’d pick up pickles from a guy named Izzy on Suffolk Street and chickens from another shop on the same block. “I had a lot of friends there and I was welcomed by the neighborhood people,” said Rollins in his biography, noting that he and Lucille, an interracial couple, always felt welcome on the Lower East Side. 400-402 Grand St. is one of the few properties in the former Seward Park Extension Urban Renewal Area that escaped the bulldozers during the city’s slum-clearance program in 1967. According to public records, the city took control of the buildings from a company called Dixie Estates, Inc., that same year. The property has been under the management of the Department of Housing Preservation and Development ever since. Barry Chusid (right) with Clayton Patterson. Photo by Hugh Burckhardt. For at least the past decade, the tenants occupying about 10 apartments were at odds with the city over their future living arrangements. In the spring of 2009, we met a particularly cantankerous resident named Barry Chusid, who was determined to beat City Hall. At the time, Community Board 3 was making slow progress toward finally breaking a four-decade-long stalemate over the future of the Seward Park parcels. “I’ll pitch a tent if I have to, or they can build around me, but I’m not going anywhere,” Chusid vowed. His militancy did not come out of the blue. A year earlier, a city official had told the residents they’d been accepted into the Tenant Interim Lease (TIL) Program, a relic from New York’s urban homesteading movement that allowed residents to form co-op associations and to purchase their apartments from the city for $250 per unit. Then, as the community board’s deliberations progressed, the offer was suddenly rescinded. The buildings sat on the largest and, arguably, the most desirable parcel in the urban renewal area. As far as city planners were concerned, keeping 400 Grand St. intact was not an option. In that first meeting, we accompanied Chusid to a drugstore on Clinton Street, where he made photocopies of dozens of documents collected in his battle with city bureaucrats. “I want someone to have these,” he said, explaining that his health was failing and that the fight at 400 Grand was one he might not be able to finish. At around the same time, Chusid had visited attorneys at Manhattan Legal Services, a nonprofit organization that agreed to take on the tenants’ case. Here’s a rendering of the building that will replace 400-402 Grand St. on Essex Crossing site 5. The developers of Essex Crossing are, of course, not building around these two buildings. But after years of legal skirmishes and statements of support from the community board, the remaining six residents were finally relocated. The apartments at 400 Grand featured high ceilings and were unusually spacious. Based on a payment ledger Chusid provided six years ago, rents were very low, ranging from $54–250 per month. As a result, comparable housing was impossible to find. But the residents and the city ultimately made relocation arrangements. In an interview last month, Rosalind Black of Manhattan Legal Services said three out of six remaining families moved into affordable housing in the neighborhood. One family chose to move to Brooklyn, while two households retained private legal representation, eventually reaching a settlement with the city. Commercial tenants, a shoe repair store run by an immigrant from the former Soviet Union and the LES Jewish Conservancy, shuttered several months ago (the conservancy continues to operate, but without a storefront). The conservancy in 2011 moved into the space that was home to Ruby’s Fruits for so many years. The organization, which runs tours of Jewish sacred sites, opened amid much fanfare, with the Lower East Side’s political establishment in attendance. At the time, many people were unconvinced that the Seward Park development would actually go forward. One visitor to the conservancy’s Grand Street outpost was 85-year-old Hedy Pagremanski, an artist who has painted more than 80 doomed or endangered buildings throughout New York City. Upon learning of the buildings’ pending demise, she went to work last year to document what will soon become a Lower East Side memory. Sitting inside a diner across the street one Sunday last month, sipping a cup of coffee, Pagremanski explained what moved her to paint 400-402 Grand St. “My paintings are really about people,” she explained. “I’m making a statement that their lives matter. I heard so many stories sitting on the sidewalk, talking to the people with connections to those buildings.” From Sonny Rollins to Ruby Baumgarten to Barry Chusid, the people of 400 Grand St. have had quite a story to tell. Hedy Pagremanski’s painting (unfinished) of 400 Grand St.